Lovers of great competitions, challenges and surpassing oneself? See you at Ironman 70.3 in Pays d'Aix. Since 2011 the prestigious long distance triathlon race is held in Aix en Provence each year in May. In 2018, the 7th edition welcomed more than 2,300 athletes from 50 different countries. An exceptional course in the heart of Provence where participants started with 1.9 km of swimming in the waters of the lakes of Peyrolles, followed by 90km by bike through the municipalities of the Pays d'Aix and ended with a half-marathon in 3 loops (21.1 km) in the city center of Aix en Provence. A real endurance race won by the German Andreas Böcherer who went on to complete the 3 events in 3 hours and 53 minutes! The Ironman is one of the most famous races in the world. It is an extraordinary competition gathering exceptional athletes able to provide a superhuman effort to connect three disciplines: swimming, cycling and running. In France only 3 cities host the Ironman 70.3: Aix en Provence, Nice and Vichy. The test of the Pays d'Aix is ​​ranked 5th best Ironman 70.3 in the world. 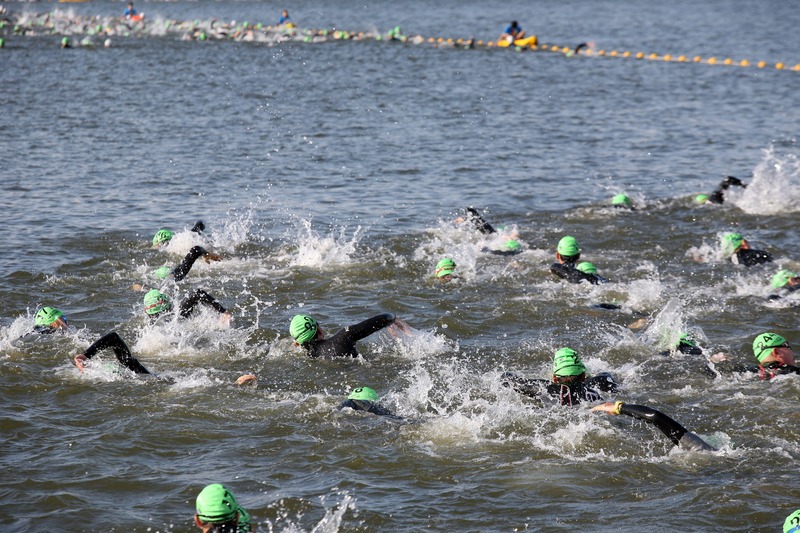 While you are triathletes or lovers of sporting challenges do not miss this event in May 2019! Registration for the Ironman 2019 Aix-en-Provence is already open. To register, click here. To not miss the race, our 3-star hotel L'Artea welcomes you during the Ironman in the city center of Aix en Provence. Our establishment, an old mansion is ideally located in the heart of the historic district for holidays combining charm and sporting challenges! To kick off the day and take all the necessary strengths, the breakfast of the hotel is adapted to the sportsmen with specific products (cereal bars, plain pasta ...) and it will be served at 4:00 am, the day of the race.